Show off your kids and grandkids with this warm and cozy Personalized Shirt for Moms, Grandmas, Aunts and Friends. 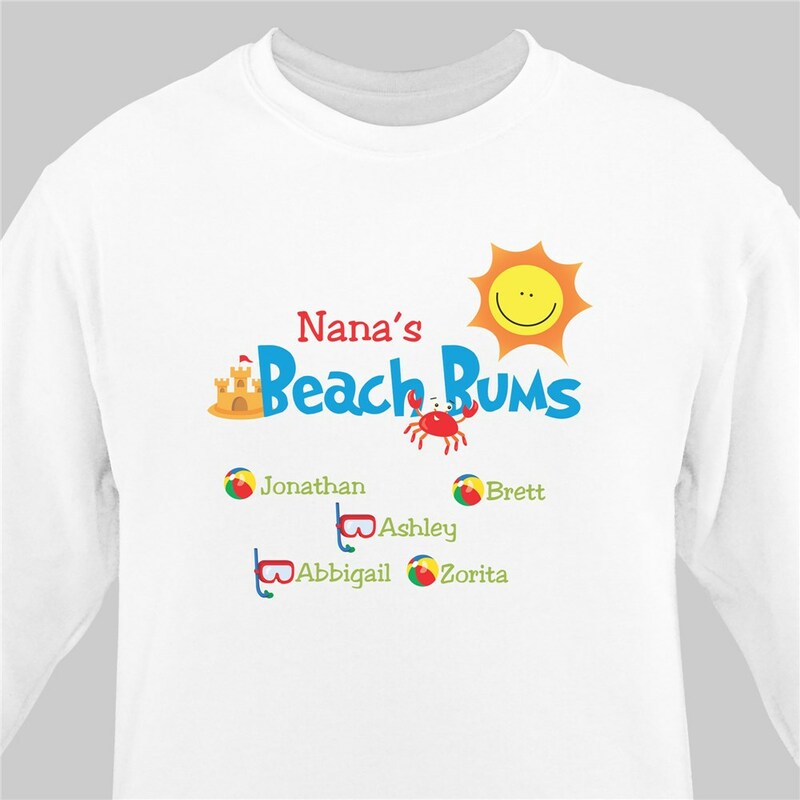 This Personalized Beach Bums Sweatshirt is sure to keep anyone warm on a nice cool day. This Personalized Sweatshirt makes an excellent gift idea for Mother-�s Day, Grandparents Day or Birthdays. Your new Personalized Gift Shirt for Mom is available on our premium white cotton/poly blend Sweatshirt, machine washable in adult sizes S-3XL. Shirt is also available in Pink. Includes FREE Personalization. Personalize your Beach Bums Sweatshirt with any title & up to 30 names. Absolutely Adorable Sweatshirt ! Great feel and fit. This was a perfect gift for my Mom on Mother's Day!